Afternoon for the 21st Century is an evolution of our 8 year journey with the Real High Tea Challenge. 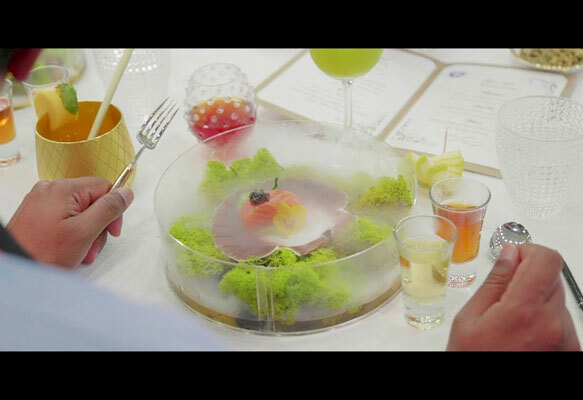 Chefs, bartenders, hospitality professionals witnessed what tea for the 21st century really needs to be –The journey continues now with a greater understanding of tea where we will be conducting the Afternoon tea for the 21st Century competition. Afternoon tea is not just about tea with scones and cucumber sandwiches, there are several dimensions to it and whilst ultimately the objective is to present great taste, the enjoyment and pleasure of taste, elegance, to present goodness, goodness in terms of the wellness aspects in tea but also purpose in terms of doing something that impacts on the lives of someone else. Present the culture and the heritage of the nation that you represent or the nation in which you are presenting. Treat your ingredients with respect, choose each of the different elements in order to make sure that you fulfil the primary requirement of great taste, an afternoon tea that tastes really good. Different juices, different fruits, different ingredients also representing the heritage, the cultural dimension and presenting a harmonious combination of taste and flavours in a beverage complementing tea.